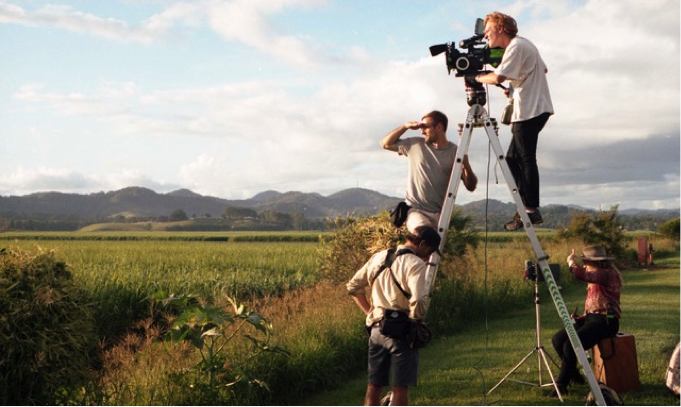 Pictured: ‘In a Cane Field’ crew on location in Condong (L-R: Andrew Gough (Clapper/Loader), Steivan Hasler (Focus Puller), Adric Watson (Director of Photography) and Emily Avila (Director), Photograph by Mia Forrest. Location: Cavanbah Centre, Byron Bay. For more information, go to: www.screenworks.com.au/locations. Following the seminar, an invite-only practical location-scouting workshop will take place (on Sat 3rd June) which will be led by Colin McDougall. To register your interest in attending this workshop, please email coord@screenworks.com.au. Please note spaces are limited. Matt has been one of Australia’s leading producers for over 30 years. During that time Matt has produced or executive produced 16 feature films, 7 TV movies, 7 mini-series, 6 documentaries and over 500 hours of TV drama. Apart from the creative, management and financial skills required to execute such a large body of work he has broad experience of working in and managing companies involved in this work. Colin is one of Australia’s leading location professionals with nearly two decades of experience working on a wide variety of film projects in Australia and across the globe. He has worked across all states of Australia on projects ranging from locking down city blocks in Sydney for major international feature films to ensuring documentary crews get amazing shots in Kakadu National Park. Credits include: Mad Max: Fury Road, Pacific Rim: Uprising, Peter Rabbit, Star Trek: Into Darkness and Packed to the Rafters to name just a few.